Welcome, I am Machiel, at least that is what this body was once called. This site was intended to help one see if indeed you are the body, mind and all the other roles you assume in life and that what you are can only be one thing, the question who am I? is the means to find out who you really are eternally. 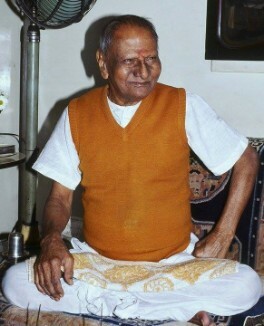 This age old question was in modern times the teaching of Ramana Maharshi 1879 - 1950 and after him people like HWL Poonja (mostly called Papaji), Robert Adams but also Nisargadatta Maharaj and many others. 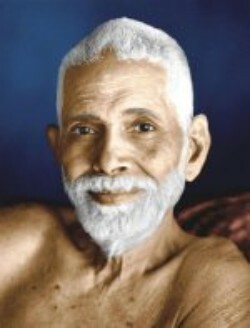 Thing that is pivotal to understand is that when these teachings were given they were only given with one goal, only so it could be seen that there already was no separate individual to apply the teaching, so yes apply them totally with a lot of effort but don't cling to them resulting in a new identity as a seeker. My motto is that in these days everything that is needed is already there online so there will be a lot of links to sites that have seemed to be helpful, for this check the ''links'' to the left. Over the years I have experienced what is pointed out by the great guru's and teachers, there has been experienced first hand that what ever one thinks one is cannot be what one really always is in reality. That what you really are is not existing as an opposite to the appearances that come and go but rather that this which never changes now and then comes into being as the appearances. Like there is the ocean and its waves that are actually only water. That really there is no duality between observer and observed, subject and object, that you are so to speak always already the screen on which they come and go. Later the realisation came that in fact what you are cannot even be the screen because when the appearances disappear the screen goes with them. That there are no distinctions like that at all. You can only be that which never changes or comes or goes (but your not this either, YOU are not there at all) so your also not consciousness or that first feeling of being or existing which also appears. Further one cannot go in words because words are always received by an assumed separate individual who will try to apply them, so if you feel stuck and feel you have tried everything let it go, everything is already what you are told to look for behind it all. If you would like to talk or have a question please don't hesitate to contact me trough the contacts page.